My preschooler has been going bonkers over ninjas lately! I'll often find him wearing all black, sneaking around the house, and fighting imaginary enemies in the living room. 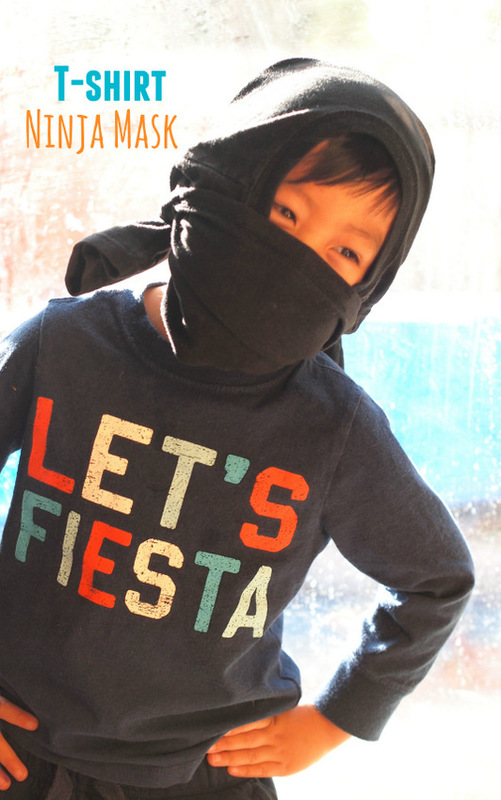 I've been trying to encourage his imagination by reading him ninja-related books and crafting him this easy t-shirt ninja mask. Our top 10 ninja books! 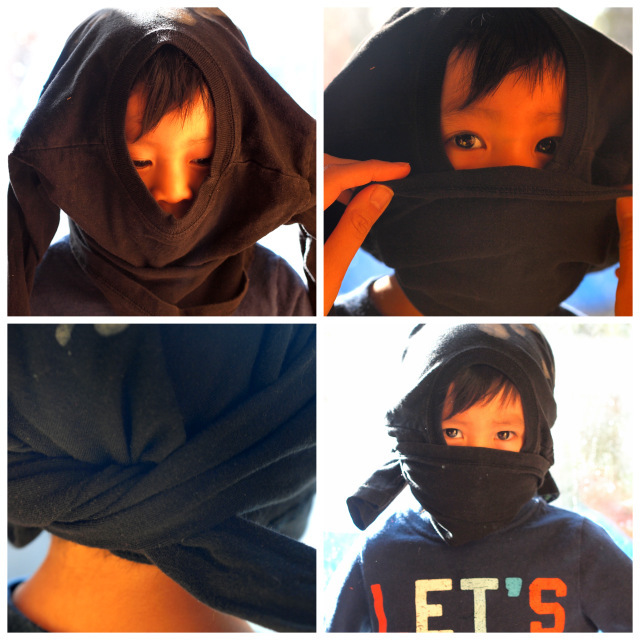 How to Make a t-shirt ninja mask... in under a minute! Ok. So this is super easy. Place your shirt over your child's head so that his/her face appears in the neck hole. Roll up the bottom of the shirt so that it covers your child's nose. Make sure to roll it up in the back too. That's it! Now your ninja is properly disguised and ready to battle! Wasn't that super easy? 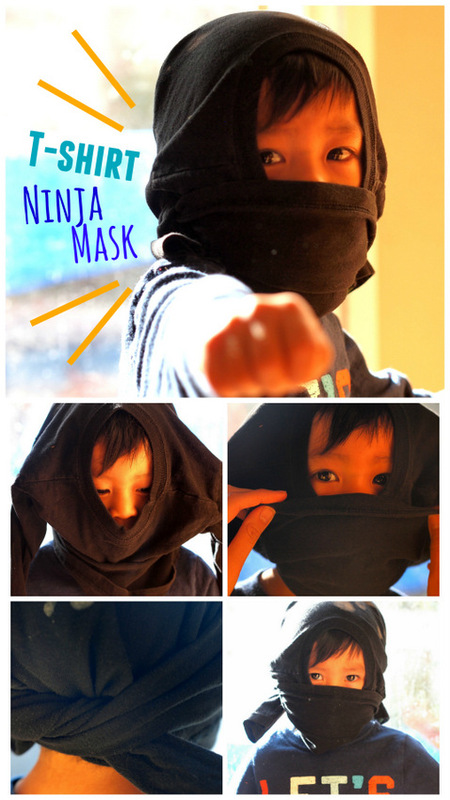 Looking for more Preschool Ninja crafts and activities? Today I'm collaborating with other preschool bloggers to come up with fun ninja crafts and activities. So be sure to check out the links below for more fun ideas!